Railways are notoriously frugal. They will "sweat the assets" (as Greg McDonnell says), but when they are done with an asset, it is usually discarded with little or no remorse. 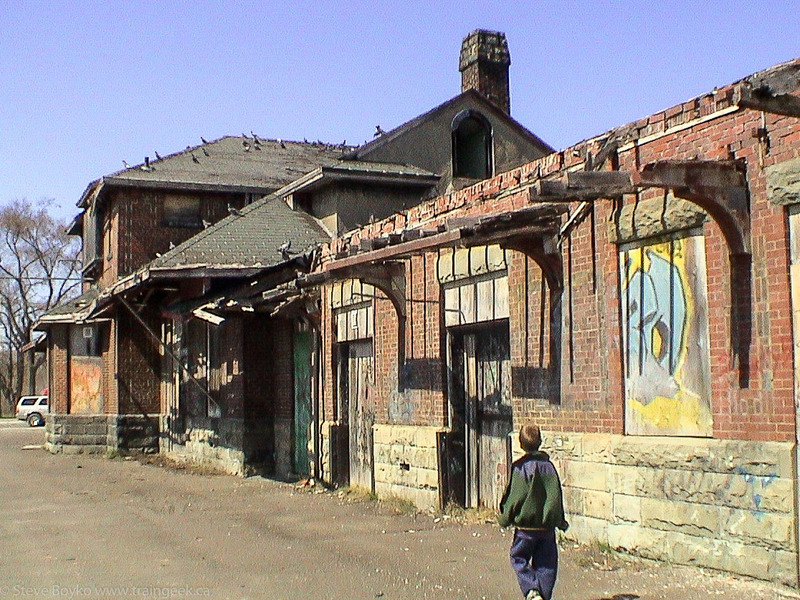 As an example, the rapid destruction of train stations (unused since the decline of passenger rail travel) in Canada in the 1970s and early 1980s was only stopped by the Heritage Railway Stations Protection Act of 1988. 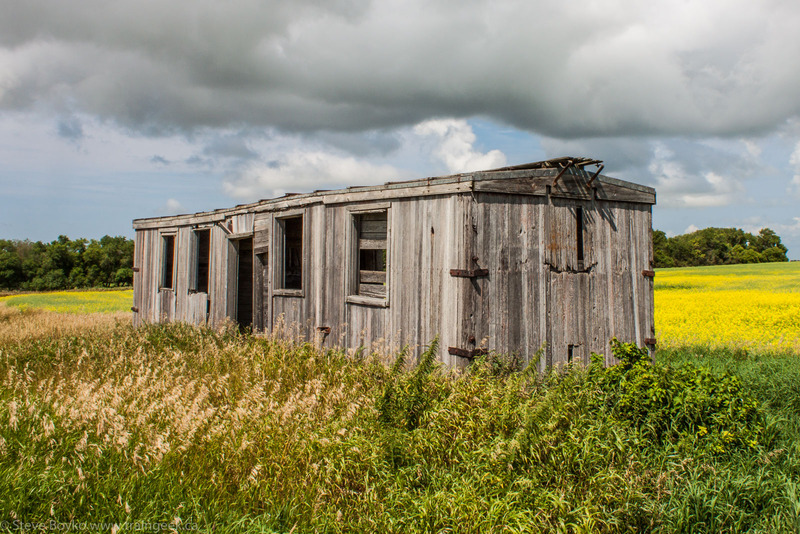 Sometimes private individuals or businesses buy old rolling stock and repurpose it. 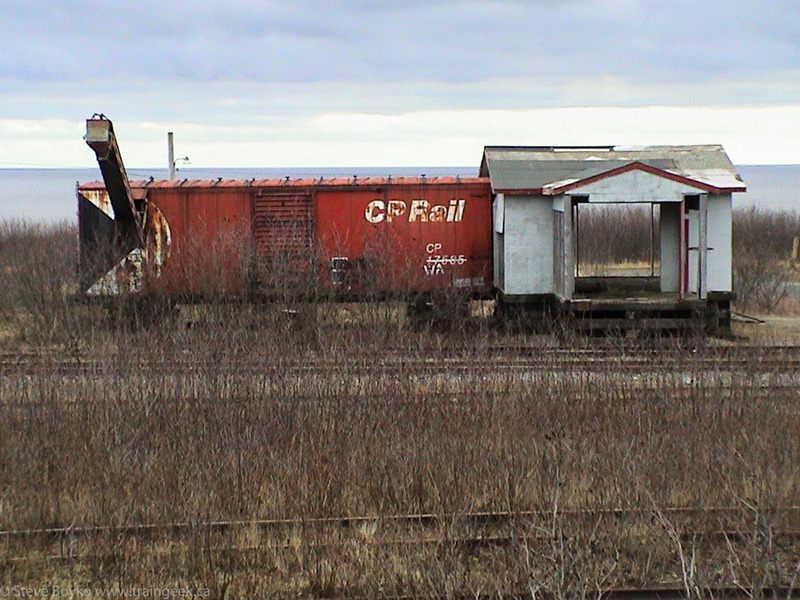 Many cabooses become cottages, for example. 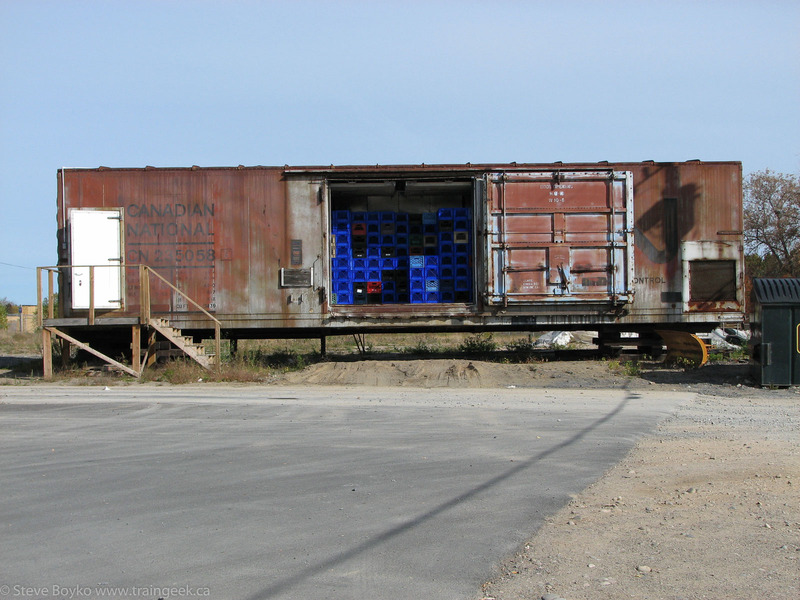 In my travels I've stumbled across a few pieces of rolling stock still in use for some purpose. 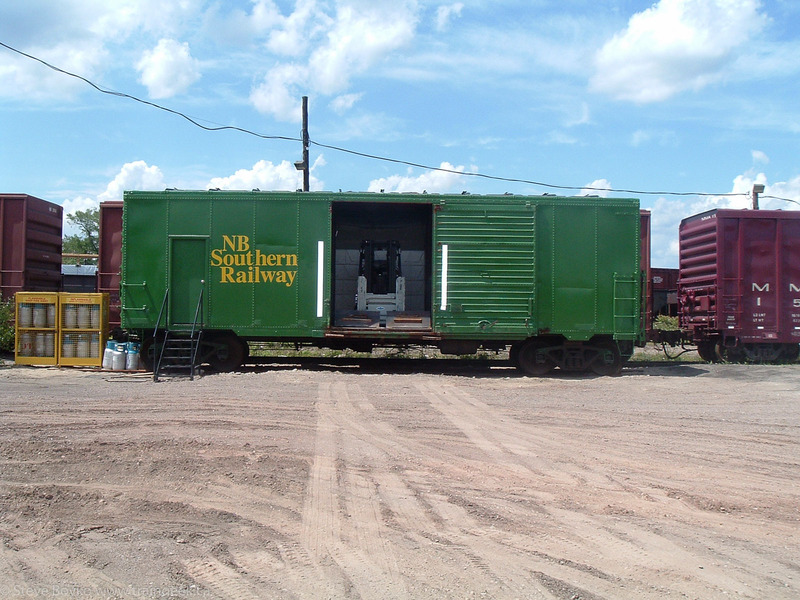 NB Southern converted a boxcar to use for transloading pulp in McAdam. 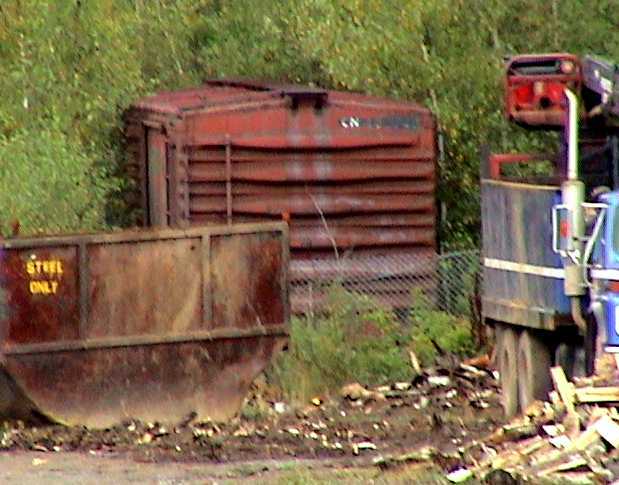 The boxcar even has a forklift in it to help move the pulp over from truck to boxcar. What have you seen around? PS Thanks to Glen aka busman for the post idea. Another nice post. I'll have to check my files. 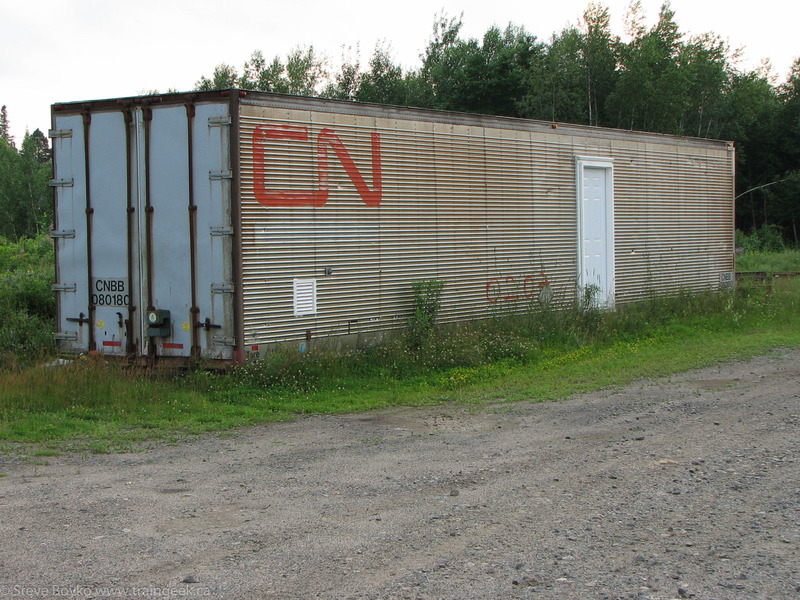 There's actually a re-used CP Intermodal half a block from my house on Daly St S! 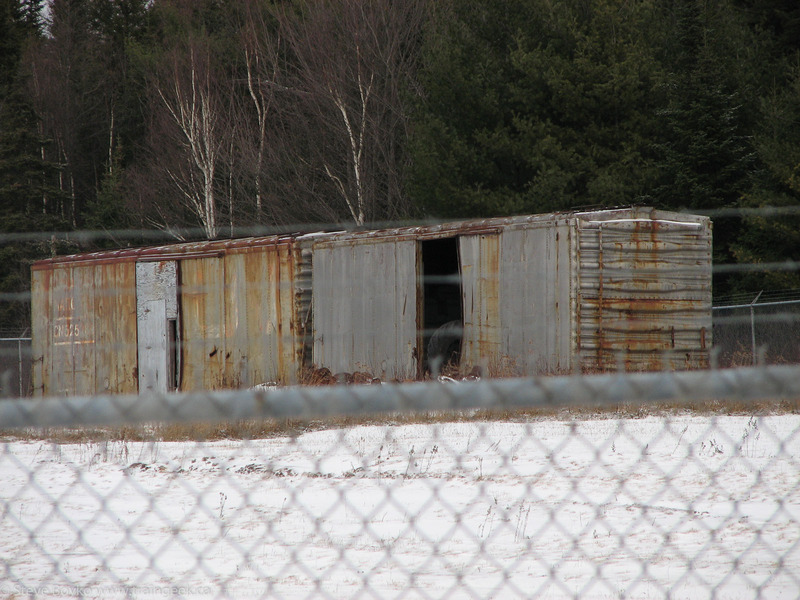 Taylor lots of containers are being repurposed.. look at Big Steel Box on route 90 by Fort Whyte! Yeah, I know, but I find it cool that one is so close to me. 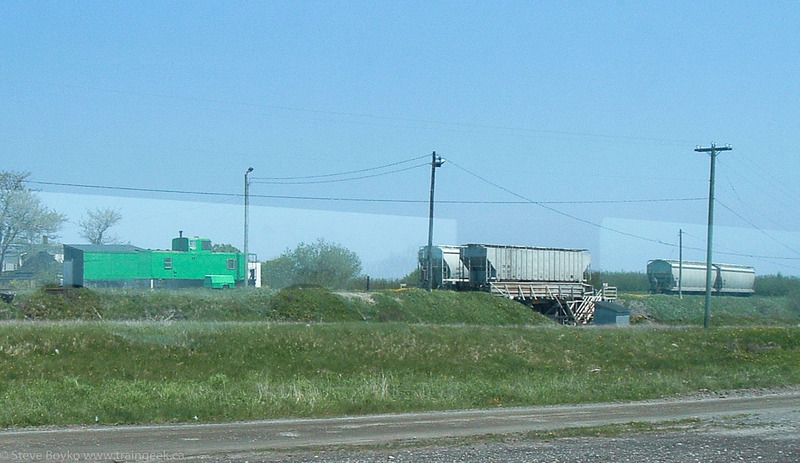 I think there are a few by St James Junction too.